Because pregnant women are in danger of becoming severely ill if they contract the flu, the Centers for Disease Control and Prevention recommend flu shots for pregnant women regardless of what trimester they are in. New research shows the shot does more than protect pregnant women from illness; it also saves infants from dying in the womb. Australian researchers have discovered a link between the flu shot and protection against stillbirth. Their analysis of nearly 60,000 births finds pregnant women who received a vaccination were 51 percent less likely to experience a stillbirth than unvaccinated mothers. “The largest relative reduction in stillbirths was observed for births occurring just after influenza season,” concluded the team led by Annette Regan, an investigator with the Western Australia Department of Health. The CDC estimates roughly half of all pregnant women in the United States receive a flu shot, which is an injection of a dead virus that builds a natural immunity. (Pregnant women are advised against receiving the nasal spray flu vaccination because it contains a weakened, not dead version of the virus.) Many developed nations report similar figures, though Australian public health officials calculate 60 percent of pregnant women get their shots. 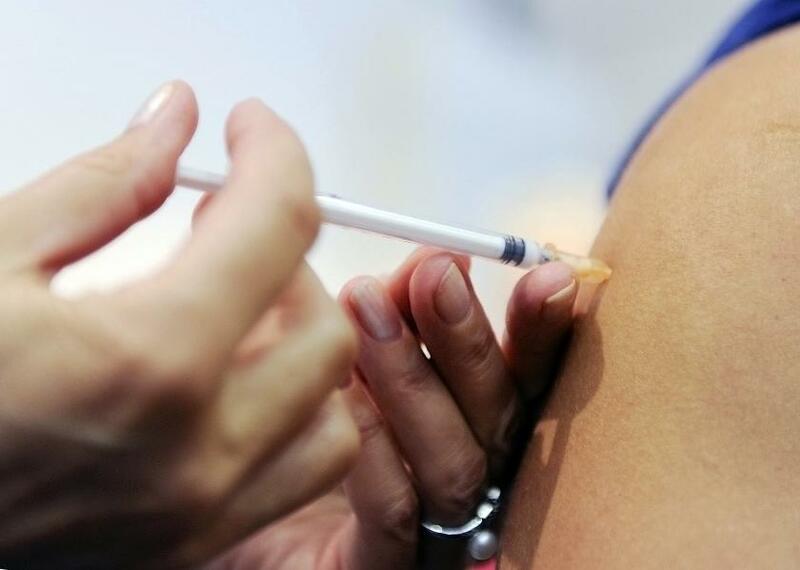 It’s possible that women who refuse the vaccination continue thinking as they may have before becoming pregnant — believing that healthy, young women don’t need a flu shot. Or perhaps some of the fear spread by the antivaxxer movement worries them over how the flu vaccine might harm their babies. The truth is, rejecting flu vaccination is a greater cause for concern. Pregnancy causes natural changes in a woman’s immune system, her heart, and her lungs, all of which means expectant mothers are prone to developing more severe symptoms once infected with a seasonal flu than they would otherwise. It’s not uncommon for the flu to affect vulnerable populations such as children, the elderly, and pregnant women to the extent that it requires hospitalization. In the absolute worst case scenario: flu can lead to death. “A pregnant woman sick with the flu also has a greater chance that her unborn baby will suffer serious problems, including premature labor and delivery,” the CDC websites states. Needing data, they turned to midwives for help. The researchers received precise records concerning 58,008 births taking place in Western Australia between April of 2012 and December of 2013. Of this total, mothers who had not received the vaccine contributed 52,932 births, while mothers who had been vaccinated during pregnancy contributed 5,076 births. Analyzing the numbers, the team discovered the risk of stillbirth among vaccinated mothers was 51 percent lower than the risk among women who had not been vaccinated. The analysis also showed that stillbirth rates decreased during the months prior to flu season and increased after, though seasonal differences were not significant. Overall these results are consistent with a previous smaller-scale Swiss study. In developed countries, stillbirth accounts for 70 percent of all infant deaths, say Regan and her colleagues, while worldwide more than three million babies die in the womb each year. This new study, which helps establish a connection between the flu and stillbirth, might save lives across the globe. Source: Regan AK, Moore HC, de Klerk N, et al. Seasonal Trivalent Influenza Vaccination During Pregnancy and the Incidence of Stillbirth: Population-Based Retrospective Cohort Study. Clinical Infectious Diseases. 2016.